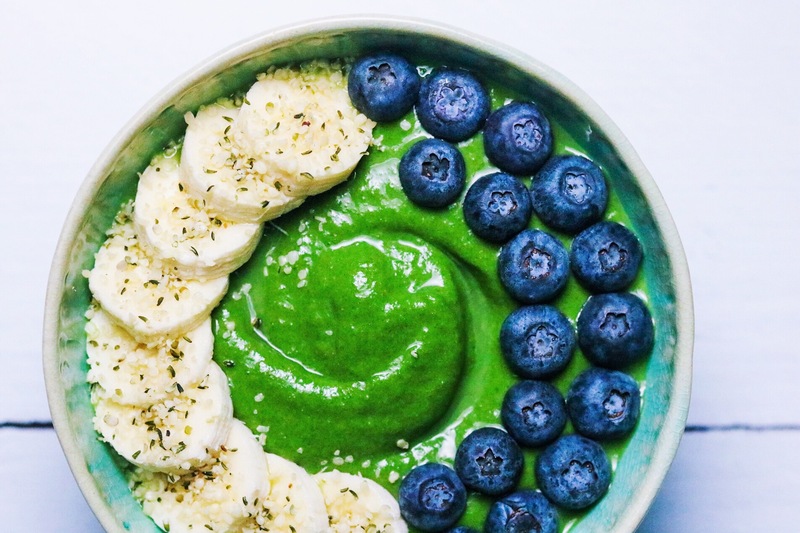 Green smoothies can be made with a variety of different vegetables and fruits in order to make it green, but this bright green color is coming from spinach and avocado! Yes, I said avocado. 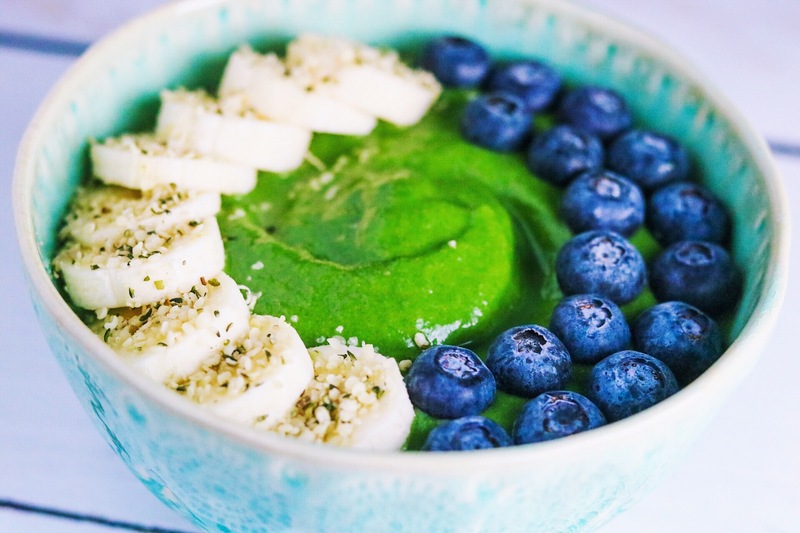 Add the superfood avocado to your smoothies and you’ll not only benefit from the healthy fats, you’ll also get a delicious, creamy smoothie. Win-win! toppings: sliced banana, blueberries, hemp seeds, peanut butter, honey, almond butter, chia seeds, etc. – whatever you like! If it’s too thick add more almond milk and if it’s too thin add more frozen spinach! Top with your toppings and devour!